Why is Testo's 350 Analysis Box vital for greenhouse gas emissions testing during cement production? The Australian Cement Industry Federation (CIF) notes production stood at nearly 10 million tonnes in 2015-16. This mammoth industry employs thousands nationwide and adds millions to the economy. The material is used in everything from building roads to homes, showing its vital importance to Australian society. Unfortunately, producing the material also contributes significantly to greenhouse gas buildup – CIF shows half of all emissions in a cement plant come directly from the calcination of limestone. This makes monitoring emissions levels in cement production with accurate tools vital for a cleaner future. Why is cement production so greenhouse gas-intensive? Producing cement for use in construction and industrial applications involves the decarbonisation of limestone. Heating cement in a kiln with other materials, carbon dioxide is emitted alongside other gases such as carbon monoxide, nitric oxide and sulphur dioxide. These all contribute to greenhouse gas build up in the atmosphere. Additionally, as with any industrial production process, heating often relies on burning fossil fuels to raise the temperatures needed to the highs needed. This produces yet more greenhouse gases. Cement production contributes heavily to greenhouse gas pollution. Why is emission monitoring important? The Australian Environmental Protection Agency has become increasingly focused on monitoring greenhouse gas emissions nationwide, tracking it through the National Greenhouse Accounts. Sectors such as manufacturing, construction, mining produce more emissions than others, and as such are in the spotlight. Private institutions and government bodies help to ensure that greenhouse gas buildup doesn't affect the air quality in populated areas or degrade atmospheric conditions too quickly. This is a vital task is achieved through stringent environmental regulations capping the release of greenhouse gases over time to ensure future generations enjoy a greener world. 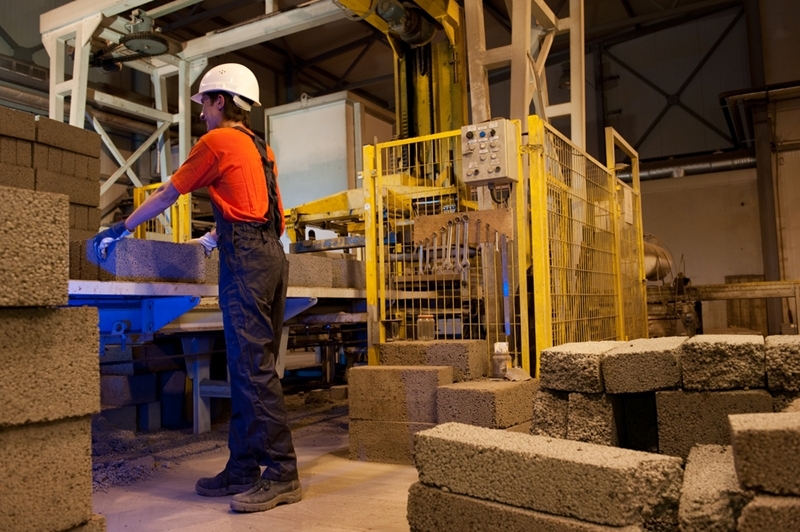 How does emissions monitoring take place in cement production? In order to check whether or not emissions remain within environmentally safe levels, expert operators analyse gas emissions from the flue of cement furnaces. This ensures responsible individuals can respond to dramatic changes to emissions levels in times and gather data to further optimise cement production processes. This process is achieved when using exhaust gas analysis systems. Industry-leading instruments allow emissions monitoring operators to test various gases to see whether or not a given cement production operation complies with environmentally-sustainable levels. The testo 350 Analysis Box is the ultimate tool for tracking exhaust gas emissions. Why is Testo's 350 Analysis Box the best solution? An increased measurement range for unlimited data recording, even with high gas concentrations present. Sealed housing with impact protection modifications, optimised for harsh conditions. The testo 350 exhaust gas analysis system can be managed via the Control Unit or easyEmission software, fitting a broader range of applications. 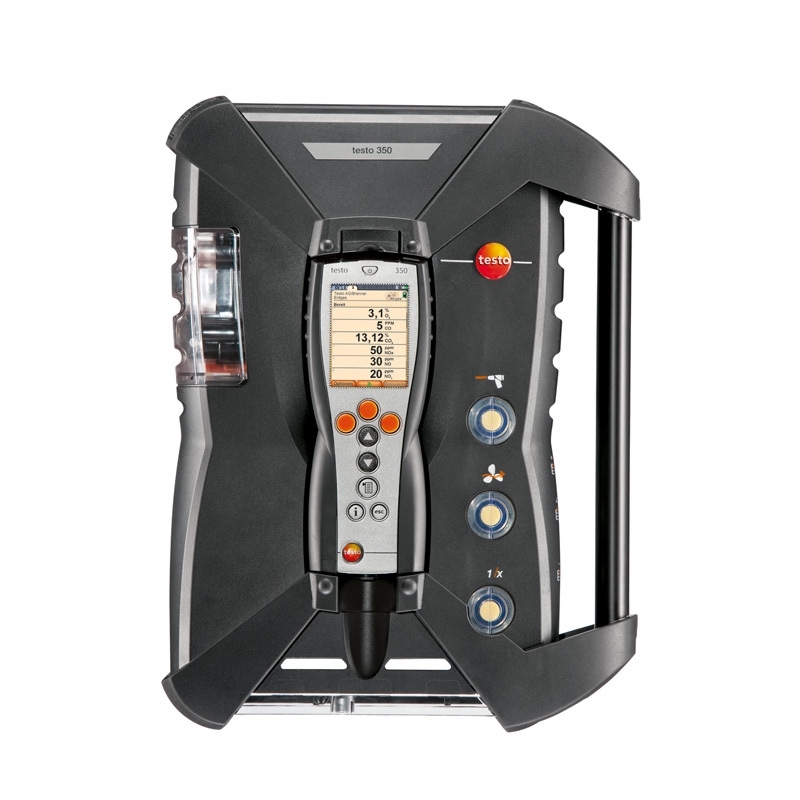 For more information on Testo's 350 Analysis Box, contact the team today.